At the low price of $5.00, a receiver should be satisfactory if it works at al'! Observation is more encouraging than that: most of these receivers are considerably better than f usable". And they commonly show distinct indications of good engineering, such as electrical stability, and a clean, relatively open layout.. Maintenance is not difficult and replacement parts or substitutes are easily obtained. Their style of construction, although well under MIL specs, is far from flimsy. Most of these receive rs are not toys: they are real, usable electronic devices. Almost any radio receiving system contains an amplifier of some kind. Only the simplest ones do not: (he crystal receivers built in the early days of radio, and still built for some purposes, utilize only the incoming energy from the antenna. These receivers are in sensitive and no longer serve for normal communications work. 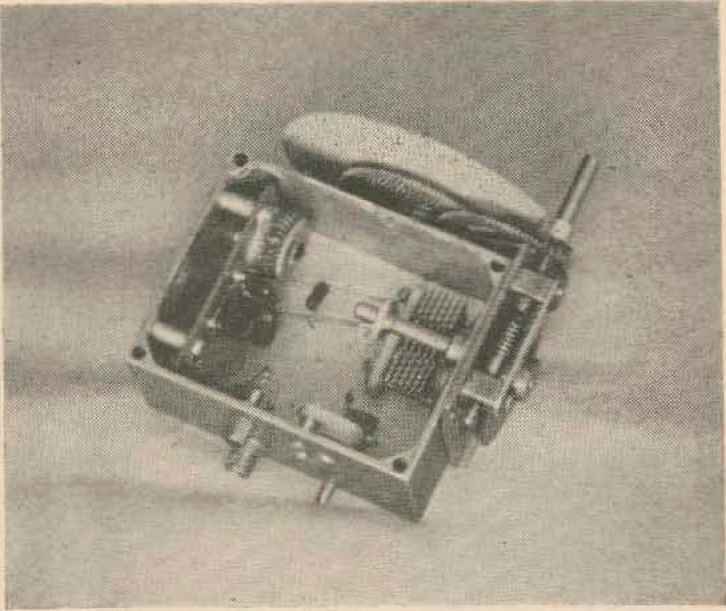 The history of radio is largely the story of years of research upon a very central problem: how can a smaller signal be made to yield a usable result? And the smallest usable Signal has become very small indeed. Imagine a 1-watt lamp and its general illumination of the surrounding territory. This represents roughly what Hertz had achieved by 1889. Nowadays a millionth part of this 1-watt illumination, or KM1 watts, is regarded as a huge signal which is likely to overload the receiver. A further reduction by another million times brings the signal to a workable level, about 10-12 watts. Most amateurs would regard a signal as fairly weak at another hundred times smaller: I0-14 watts, or about 0.7 microvolts across 50 ohms. What did the old-timers do about small signals? At first they had to gef along with no amplifiers at all Hertz s spark gap soon yielded to improved detectors such as the coherer and later the electrolytic, the crystal, and some other varieties. There was great emphasis on making the most effective use of the signal. Much ol the early literature is devoted to better coupling devices, and there were even such things as push-pull crystal receivers. 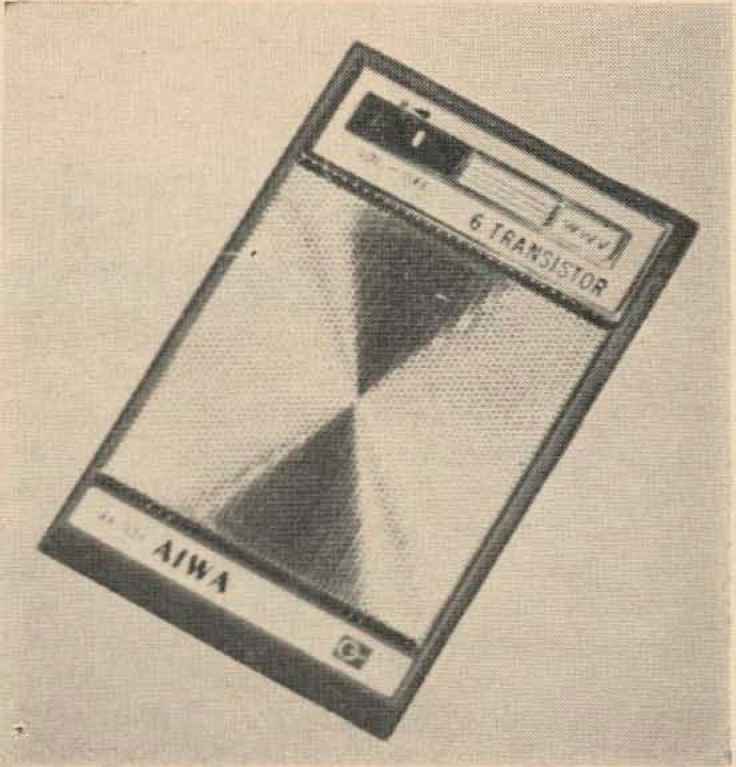 Later arrangements used primitive thermionic triodes as RF amplifiers at the received frequency, and these developed into the TRI or Tuned Radio Frequency receivers which have lasted almost up to the present. The WWV receiver just before assembling back into its cose, The antenna leads are very fragile! to come out as the right frequency for the fix-tuned receiver. The converter could be designed to feed any frequency within a wide range into the fix-tuned receiver. This was the basic principle that has become one of the ke\ ideas of radio electronics. His converter circuit is now called the mixer, and it is often arranged to perform a second function as a local oscillator. It's easy to forget that the if amplifier is really a complete receiver in iisclf: a TBI receiver often fix-tuned to about 455 kHz. This basically simple and lighly workable idea ^the number built so far must be in the tens of millions!) does have some peculiarities, or depending on your point of view, a few shortcomings. This simple conversion of a tunable broadcast to a fix-tuned shortwave receiver depends on one of them. About 1800, a French mathematician was working 011 a difficult problem. He was trying to develop a mathematical description of the actual events occurring when a stretched cord is pulled away from its resting position and abruptly released. He solved his problem in a way that some mathematicians of his day refused to accept as mathematics. His name was Fourier; many modern eletronics handbooks have tables and collections of equations based on his results. The question of how a superheterodyne mixer works can be studied by Fourier analysis. The engineer writes down a simple equation to represent the two frequencies applied to the mixer input, and then hie writes a longer, rather hairy looking thing to represent the output. He writes a Fourier series. hen he may red-pencil a circle around one or two of the terms and simply ignore the rest. 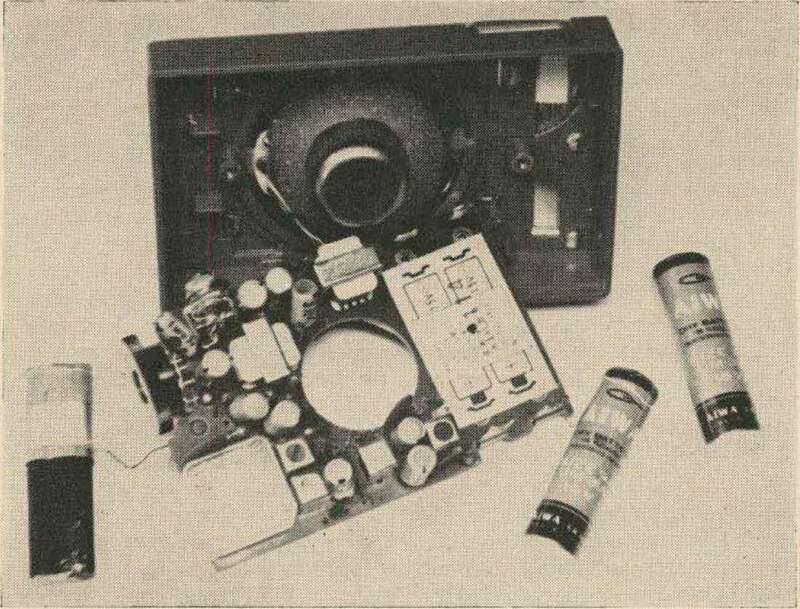 The two important terms are (1) a frequency equal to the numerical sum of the two input frequencies and (2) a frequency equal to the numerical difference between the two input frequencies, The sum frequency is interesting to transmitter builders, and is the basis of lloisingtons one-tube 50MHz, VFO described in the June 1966 issue of 73. The difference frequency interests us and receiver builders in general. And the terms ignored aren't really gone; they come back sometimes to produce unwanted birdies, Fisks article in the April 1966 issue of 73 disc usses that problem. kHz lower than that input frequency. The manufacturer practically always chooses an oscillator 1 requeue} above the received frequency in these little receivers; it simplifies necessary adjustments. Let us suppose the receiver is tuned to 1590 kHz. This is still witliin the broadcast band, but very near its upper edge. Its local oscillator must be operating 455 kHz higher, at 2045 kHz. Adding 155 kHz to this known oscillator frequency, we come to 2.5 MHz as the other value winch differs by the if frequency from the oscillator frequency. If we can make a small revision in I lie input circuit to emphasize the 2.5 MHz, we will have a WWV receiver! The appropriate instruments for this conversion are a grid dip oscillator and an RF signal generator. It is not a difficult conversion and with care you may be successful without I he instruments. In either case, try to find a short-wave receiver capable of picking up WWV before going ahead. Sometimes it sounds quite weird. The one-per-second ticks are distinctive, and there is a time announcement each five minutes. Check the receiver lor normal operation before starting the conversion. If if is working properly, tune to just under 1600 kH?:? remove the battery, and dismantle the circuit board from the case without disturbing the tuning capacitor. Remove the knob from the capacitor, and fill in the remaining hole in the case with a piece of cardboard. A coat of clear fingernail polish will improve the cardboard, and it may be held in place with some glue or epoxy cement. Free the bop antenna structure from the printed circuit board, but do not disconnect any wires. Be gentle! And then trace backwards from the mixer transistor to the link coupling from the loop antenna. This circuit must be opened since the grid dip oscillator may be powerful enough to destroy the mixer transistor. The base circuit is best opened at the end opposite ground: the connection to the mixer base terminal. Don t worry about possible detuning. Use the grid dip oscillator to find the resonant frequency of the antenna coil. It should be very near 1590 kHz, because it was set to that value before dismantling and events should not have disturbed it. If it is not near this frequency, you must find out why! Perhaps the oscillator frequency is off also, making eventual smfcess very hard to achieve. When the antenna coil dips at the right frequency, and perhaps after checking the oscillator frequent } at 2.045 MHz, start taking turns off the antenna toil Do not adjust the capacitor! Remove a few turns of wire and check the resonant frequency. Take off another few turns and dip again. Try to come up on (lie required 2.5 MHz b\ easy degrees so that you certainly do not overshoot. After the antenna coil is modified to dip at 2,5 MHz, take a few turns off the link coupling to the mixer. The antenna coil and the link should be reduced by the same percentage: it should have worked out to a little over 30% reduction. Then remake the open mixer base terminal connection, and remount the receiver in its case. The modification is complete; only adjustment remains. Warm up the signal generator, set it to interna modulation, and bring an unshielded lead from its output near the receiver. If its output is too strong, the following does not work very well; distance or a weaker signal is indicated. Tune the generator around the vicinity of 2.5 MHz to find what frequency the receiver is responding to- Having found it, retime the generator slightly nearer the desired 2.5 MHz but not quite out of the receiver passband. fhere are two tiny trimmers in (lie tuning capacitor; a small adjustment to one of these will center the receiver on the generator frequency. Readjust the generator still closer to 2.5 MHz and trim the receiver to frequency again. The little trimmers are capable of a surprisingly wide range of adjustment; it should not be necessary to adjust the main capacitor. Continue until the receiver is zeroed on the signal generator's 2.5 MHz. The other trimmer is now known to be the antenna coil trimmer. Adjust i( for maximum response to he generator signal This nearly completes the job; only an on-the-air test is required. Early morning or evening is the best time for this, when signal propagation conditions are good but not so terrific the receiver's broad selectivity is overwhelmed by powerful transmitters adiacent to WWV. An external antenna should not be needed in central USA, If required, it can be coupled to the receiver by two or three turns of wire, large enough to slip the receiver inside. tracking; you can now tune the if to any frequency you like. Vernier tuning in this way is very easy. When the receiver is zeroed in, the job is done* Replace the receiver's back— and it'll last for years. As they are used in if circuits, transistors (end to cause regeneration, A close look at the schematic may show a tiny capacitor from the end of the tuned if winding opposite the collector connection right back to the base of the transistor. This capacitor feeds a small signal into the base circuit opposing the signal which leaks back through the transistor. If tliis capacitoi is removed, the receiver may not quite go into oscillation. A very perceptible improvement in sensitivity results. Don't wreck the capacitor, you may want to put it back. I purchased a pair of these receivers. I haven't converted the other one yet; maybe it will make a good first and second if for an inexpensive tuner following a VHF converter. This should require one or two additional transistors, so that perhaps the tuner could be completed for $10 to $20. Look for this in a future article.